When you turn the key or press the start button, the starter cranks the engine until it fires up. Maybe you first notice the engine cranking a little slower than normal when you try to start on a cold morning. Or it could just be a crisp “click” when you turn the key. That’s okay, because the technicians at Cottman are extensively trained in starter diagnosis and replacement. They’ll examine your car’s starting problem, let you know exactly why it isn’t operating properly, and, if it needs a new starter, they’ll give you a terrific price on a top quality replacement. Even more important, they know how to analyze the entire electrical system, to determine whether your car’s problem is in the starter, or is being caused by a battery or charging system problem. Which means that, when you bring your car to Cottman, you’ll never pay to have your starter replaced unless you really need your starter replaced. That’s a promise that you can count on. Have you noticed a change in the way your engine cranks? It may be giving you a little warning that the starter is getting ready to go. 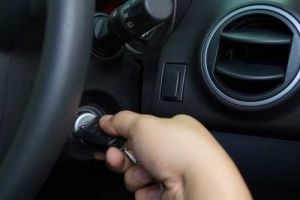 So before it leaves you stranded, now’s the time to get your car over to your nearby Cottman center and have the starting and charging system checked. Waited a little too long and now your car won’t start? Have it towed over to Cottman or give us a call and we’ll get it towed for you. Find your local Cottman center right away, and we’ll make sure to get your car fixed and back on the road… fast.